Nadia Vella of Hamster Club received an invite from Paul Hill of Happy Hamster. Happy Hamster is an online resource for everything hamster. It is also the home of the hamster named Misty and Littlefoot. Anyway, that�s enough from�I will let Nadia tell you the rest � I hope you enjoy this as it is a very good interview. Thanks again Nadia! My name is Nadia Vella. I am from Malta � a small island in the centre of the Mediterranean. 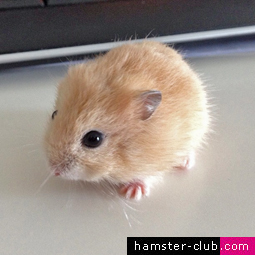 I am the founder of Hamster Club and to-date I am running Hamster Club Malta. 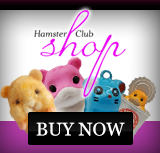 This Club started from an increase interest from me in hamsters. I still remember my first hamster (which by the way I adopted from a young age of 4 years and brought it home from play school!). My mum was shocked, but she couldn�t say no seeing me so happy with such a loving pet! In time, I furthered my animal care studies and decided to put my focus on hamsters. 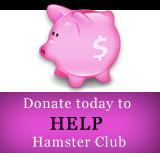 This led me to create Hamster Club, where we help and provide a free service to all hamster owners seeking hamster advice. We also adopt hamsters that need a home. 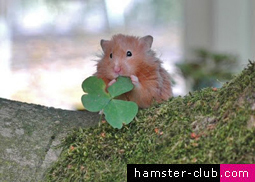 Hamster Club was set up in 2007 and in 2014, Hamster Club will expand and will welcome more hamsters at our new premises. 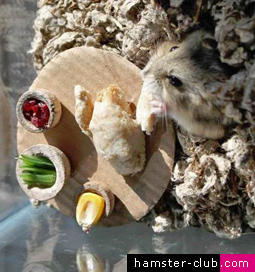 The constant success and positive output that we had at our club, led to the publication of Hamster Club Guide Book where one my buy the tangible book online at: www.thehamsterbook.com or download it Here. 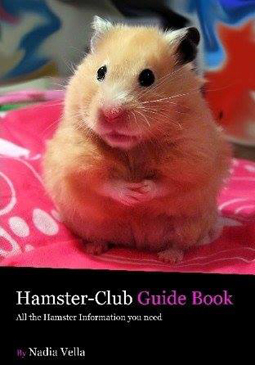 The Hamster Club Guide Book is a must have hamster book to all hamster owners and hamster lovers! It provides all the hamster information you need in a perfect hamster book! 2. Describe your level of involvement with owning hamsters? I consider myself a hamster expert, having also been recognised as an expert author at Ezine Articles, writing hamster articles, plus I have also been recognised as a hamster expert on Allexperts.com I believe in homeopathic remedies where like cures like� There are many natural remedies where one can apply to help a sick hamster get better. These are mentioned in Hamster Club Guide Book that I personally wrote. I also adopt and babysit hamsters. 3. Tell us a little bit about your first hamster? My first hamster was when I was just 4 years old! He was a Winter White Russian Hamster (mentioned above). I was still at play school at that time and a hamster just had a litter that was 4 weeks old, and this boy�s mother brought them at the school� I just could not resist taking one. My mother just couldn�t say no to me in keeping the hamster� it was so impulsive of me to take him home, I just felt that natural feeling of always wanting a hamster..even at such a young age! 4. How many hamsters have you ever owned? I lost count, but I keep a book of all the hamsters I�ve had, including their names, lifespan and any sicknesses that they had (if any). Let me check the book.. Including all the adopted hamsters I�ve had, the count came up to 65 hamsters till 2013. 5. Do you have a favourite species of hamster? And if so, for what reason? 6. What is your favourite thing about hamsters? Everything! Their appearance is the first point that one may be attracted to since they look so cute, but by time you will notice that character is much more important. I bonded with most of my hamsters, but some of them tend to �connect� with you more than others. Also seeing such a small animal being so much used to you and responding to you like for example letting him run in the room and calling his/her name and the hamster comes to you immediately is so lovely! Even though hamsters do not have words to express their feelings, when one gets used and knows hamsters, s/he will immediately understand them. 7. What is the funniest thing your hamster has ever done? Story 1. 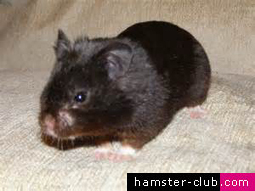 One of my oldest hamsters, Max, was one of the cutest hamsters that I have ever had�.he was also the easiest to tame! I got Max as a birthday present from my boyfriend (yes when you are obsessed about hamsters you end up wanting more�more and more!!) .. anyway, Max was the sweetest little boy and he everyday used to come out of his cage, on his own, to run around in the room for around an hour (or two!!).. When he was getting older, he stopped getting out due to the cold, he used to just stare outside from the cage door (which was open for him to roam free) and just stand there and never come out� I used to understand him obviously since he was so old and old hamsters tend to be less active and sleep more. But one day, he said �hmm�let me get out of the cage and roam in the room�. The funny thing is that he came out of the cage and stepped on the floor�one � two.. three�seconds and back in he went! It was so funny because he was an old hamster, wanting to venture out but then he just gave up since it was too �risky� and cold for him and I don�t blame him� it�s better to stay cozy in the nest than wonder around at that age! Story 2: Akaxa, was a very, naughty hamster. One fine day, Akaxa managed to open the cage door on her own and step out during the night while I was sound asleep. I was dreaming a lovely dream and then all of a sudden I woke up, since something was touching my face�. I opened my eyes at 3am and even in that dark, I saw something moving under my pillow! IT WAS TERRIFYING�! Then something struck me� it was Akaxa!! Of course! And back she went to sleep, this time the cage was fastened with extra wire since hamsters are even able to open closed cage doors, thus extra wire will prevent this. Story 3: Daisy 1� I tend to rename some hamsters the same name thus below you will find another Daisy which was identical to the first one! Daisy used to go in the hamster ball on her own. The hamster ball was kept open and she used to run and manoeuvre it on her own. When she got fed up, she would just stop the ball and get out on her own! And back in she went on her own when she wanted to use the hamster ball again! Story 4: Lovely Daisy 2! Oh my� I loved Daisy 2! Daisy was a special hamster and she just needed that extra care since she suffered from seizures, and when she got older these were happening more frequently��Daisy loved running in the room but she had ONE defect! It was that she used to gnaw EVERYTHING but EVERYTHING. I had a pair of lovely new shoes packed in the box�what did Daisy do? She gnawed the box plus new shoes!!!! In a matter of just a few minutes! I could never leave any clothes around not even on the bed since she was able to climb on and gnaw, a hole here and there! Hamsters are nocturnal and solitary animals. There are the most important things that one must keep in mind. 9. What is your preferred type of Hamster cage? I love homemade cages, but I myself do not find time creating them. Thus I use wire cages with a plastic base. 10. What is your preferred brand of Hamster Food? 11. What is your Hamster�s favourite treat? My hamsters enjoy ANYTHING that you give them as a treat!!! But I must say that their favourites are: lettuce (in small quantities) and bread. 12. What is your Hamster�s favourite boredom breaker? Food and running in the room. 13. Who is the most famous Hamster in the World? Of course!! It is Chmurka!! 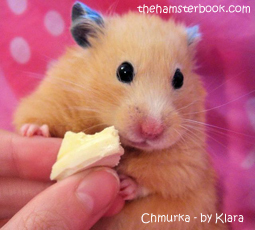 Chmurka is featured on Hamster Club Guide Book cover www.TheHamsterBook.com and also inside! She was a truly beautiful hamster! 14. What is the most useful hamster resource on the Internet? 15. Where can people get in touch with you and find out more about you and your hamsters? I hope you enjoyed the interview and a huge thanks once again to Nadia for taking the time to answer the questions!". Hamster Club and Nadia Vella would like to thank again HappyHamster.net for conducting the interview.